Joseph Sexton was born 3 Feb 1665/66 in Windsor, CT. His parents were George SEXTON and Katherine COWING. He married Hannah WRIGHT on 20 Nov 1690 in Enfield or Lebanon, CT. Joseph died 3 May 1742 in Enfield, CT.
Hannah Wright was born 28 Jul 1669 in Springfield, Mass. Her parents were Abel WRIGHT and Martha KITCHEREL. Hannah died 26 Nov 1742 in Enfield, CT.
Westfield, Mass. Robert PEASE Jr.
6. 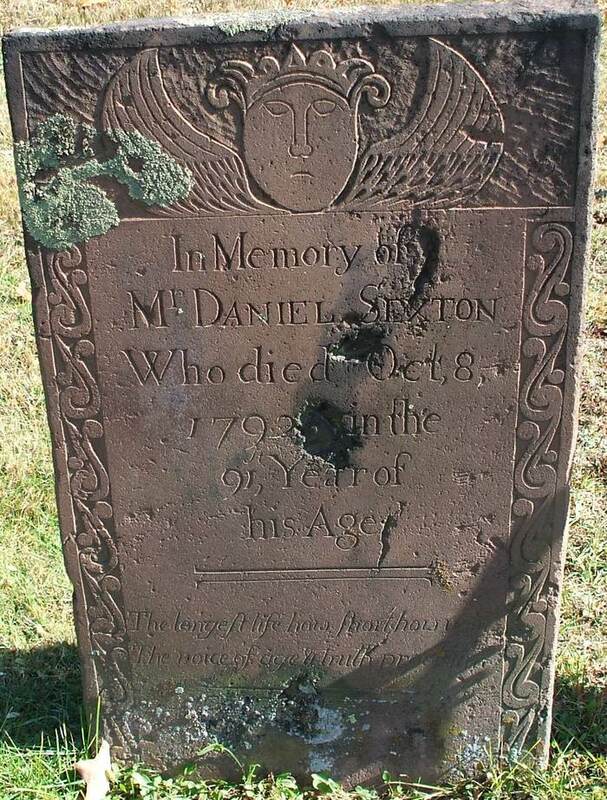 Ezekiel Sexton 28 Oct 1704 Enfield, CT Grace Caulkins? The Sextons and the Peases were very close. Joseph and Hannah share a grave lot with Ebenezer Pease. Three of Joseph’s children married children of Robert PEASE Sr. Gershom and Hannah, HANNAH and ROBERT, and Mindwell and Ebenezer. Some sources say that Gershom born in 1685 and was the son of Joseph’s brother George Sexton and Hannah Spencer. This view is bolstered by the record that a Gershom Sexton took the inventory of Samuel Andrews’ estate in Hartford, CT on 29 Jan 1711/12. Inventory £414-07-00 by Garrard Spencer, Sen., and Gershom Sexton. Witnesses to Samuel Andrews will were Garrard Spencer and George Sexton. Other sources say that Gershom first married 20 Jan 1708/09 Hartford, Hartford, CT to Abigail King and had three children before he married Hannah. The sources agree that Gershom married Hannah 1 Jun 1716 Enfield, Hartford, CT and died 3 May 1742 Enfield, Hartford, CT.
Gershom’s wife Hannah Pease was born 12 Jun 1694 Enfield, CT. She was Robert’s sister and her parents were Robert PEASE Sr. and Abigail RANDALL She first married David Miller. Hannah died 26 Nov 1742 Enfield, Hartford, CT.
iv. David Sexton b. 12 Aug 1725 Enfield, Hartford, CT.
v. Jonathan Sexton b. 12 Aug 1725 Enfield, Hartford, CT.
vi. Hannah Sexton b. 31 Aug 1727 Enfield, Hartford, CT.
Joseph’s wife Sarah Parsons was born 10 Nov 1704 in Enfield, Hartford, CT. Her parents were Samuel Parsons and Hannah Hitchcock. Sarah died 25 Aug 1747 in Somers, Tolland, CT.
Mindwell’s husband Ebenzer Pease was born 7 Mar 1697/98 Enfield, CT. He was Robert’s brother and his parents were Robert PEASE Sr. and Abigail RANDALL. 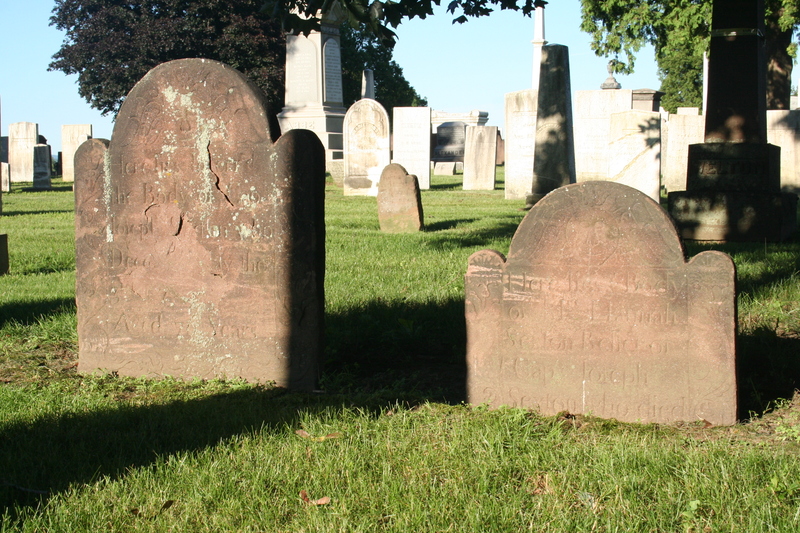 Ebenezer died 21 Oct 1743 Enfield, Hartford, CT.
iv. Mindwell Pease b. 10 Jun 1722 Enfield, Hartford, CT.
vii. Catherine Pease b. 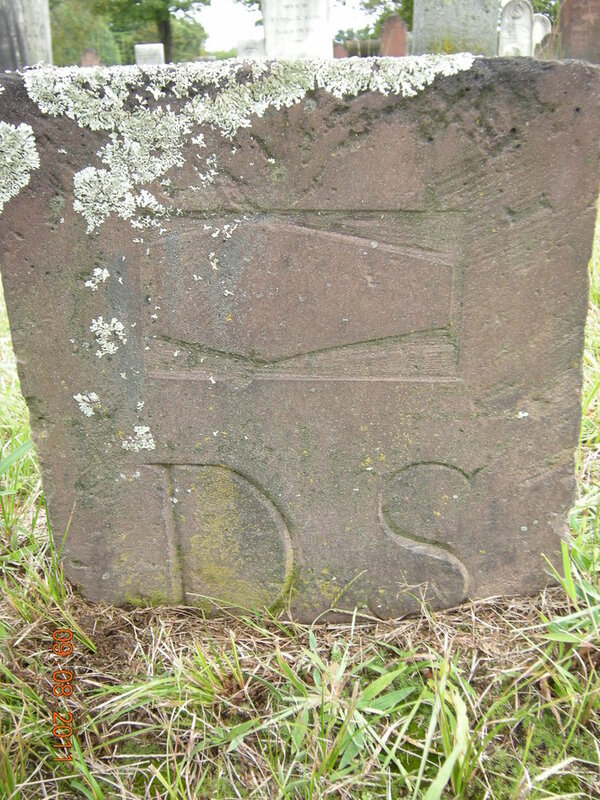 1729 Enfield, Hartford, CT.
Daniel’s wife Mary Douglas was born 1710 in New London, CT. Her parents were Thomas Douglas and Hannah Sperry. Mary died 27 Apr 1806 in Somers, Tolland, CT.
Ezekiel’s wife Grace Caulkins was born 23 Jun 1711 in New London, CT. Her parents were Jonathan Calkins and Sarah Turner. Charles’ wife Bathsheba Geer was born 16 Jan 1714 in Enfield, Hartford, CT. Her parents were Shubael Geer and Sarah Abbe. Bathsheba died 28 Jan 1763 in Somers, CT.
Charles died at sea 16 Sep 1762 on the expedition from Somers to “the Havannah” in 1762. His son Charles Jr appears to have died on the expedition a week later 25 Sep 1762. The Battle of Havana had by far the most America deaths of any battle up until that time, especially for Connecticut, but until I found family casualties in this genealogy project, I had never heard of it. See my page Battle of Havana – 1762. The Barbour Collection says that Amos born in Hartford and was the son of Gershom Sexton and Abigail King. This entry was posted in 12th Generation, 90+, Historical Monument, Line - Miner, Veteran, Violent Death and tagged Battle of Havana, Enfield CT. Bookmark the permalink. Hi. I have been looking at my Family tree and found I am related to Capt. Joseph Sexton. Your information is outstanding and I appreciate it so very much. Joseph Was my 8th Grand Father. I am connected thru his son Daniel Sexton. Captain Joseph Sexton was my 8th grandfather too! Gersham was his son, Gersham’s daughter , Penellopa , was my 6th grandmother, and she married Ebenezar McGregory Sr.. In 1754 Ebenezar McGregory Jr was born and after that Ebenezar III was born in 1779. He had a daughter named Sophia McGregory who married Eli Swetland.THEY gave birth to my great grandfather, Norris B.S. Swetland , who married Mary Elizabeth Moss, my great grandmother. They were parents of my grandfather Earle Byron Swetland , who married Laura Rebecca Hurley and had my father, Wallace Byron Swetland (one of 9 children) in 1919. Fun! Thank you so much!